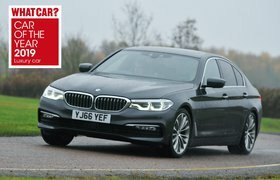 2017 BMW 5 Series to be priced from £36,025 | What Car? The publisher with the rights to Enid Blyton’s books recently announced that it’s abandoning its attempts to modernise them... but there will still be a new famous Five next year. The BMW 5 Series has been around in one form or another since 1972 and is the German manufacturer’s most profitable model. However, while the current version remains so good that it’s What Car?’s reigning Large Executive Car of the Year, it’s now six years old and about to be replaced. First of the new models to arrive will be the 5 Series saloon, with this going on sale in February with a choice of four engines: turbocharged 2.0-litre and 3.0-litre petrols (rather confusingly badged 530i and 540i respectively) and 2.0-litre and 3.0-litre diesels (with the more logical 520d and 530d nameplates). Then in the spring, the range will be expanded to include the Touring estate, an even more efficient 2.0-litre diesel that emits just 102g/km of CO2 (the 520d EfficientDynamics), a V8 petrol (the M550i) and a plug-in hybrid that can travel up to 28 miles on electric power (the 540e). New versions of the high performance M5 and high-riding 5 Series GranTurismo are due to follow later, with the latter likely to get a more SUV-like appearance than the car it replaces. 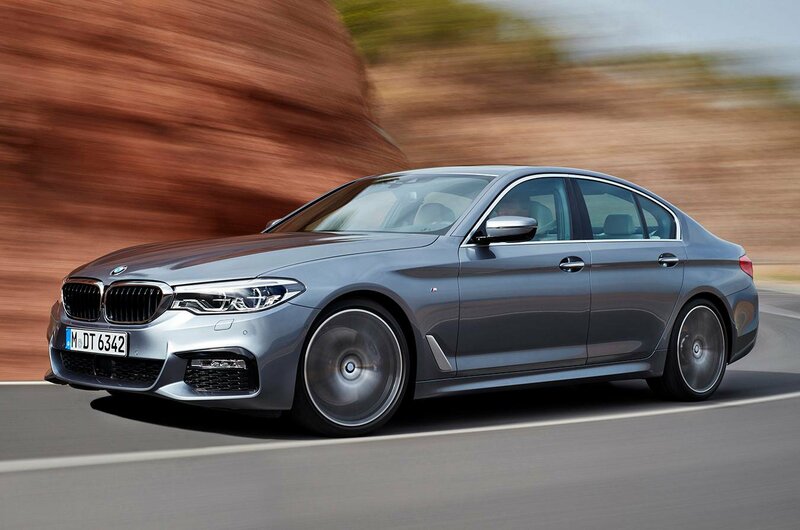 How much will the 2017 BMW 5 Series cost? The new 5 Series starts from £36,025 in 520d form, and prices rise to £46,645 for the 540i xDrive. That price means that, at launch, the 5 Series will be more expensive than both the Audi A6 and Mercedes E-Class, which are priced from £32,995 and £34,735 respectively. 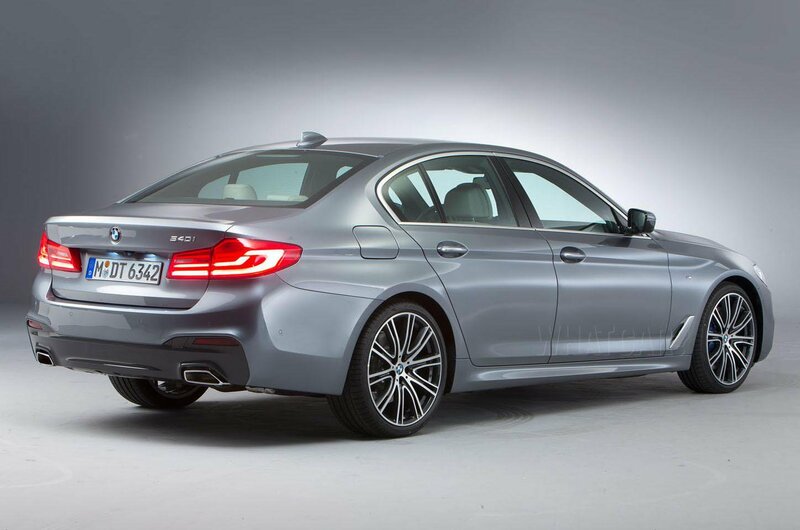 That said, cheaper variants of the 5 Series are expected to arrive after its launch. Weight has been cut by up to 100kg model-for-model, which is the equivalent of asking a large adult passenger to get out of the car, and helps improve efficiency. For example, average fuel economy for the 520d rises 2.8mpg to 65.6mpg. Less weight should be good for handling, too, and BMW is promising that the new 5 Series will be the best driving car in its class. To this end you can specify Integrated Active Steering, which turns the rear wheels to aid high-speed stability on motorways, as well as making the car feel nimbler on winding roads. British 5 Series buyers will also be able to specify BMW’s xDrive four-wheel-drive system for the first time (previously this was available only in left-hand-drive markets). 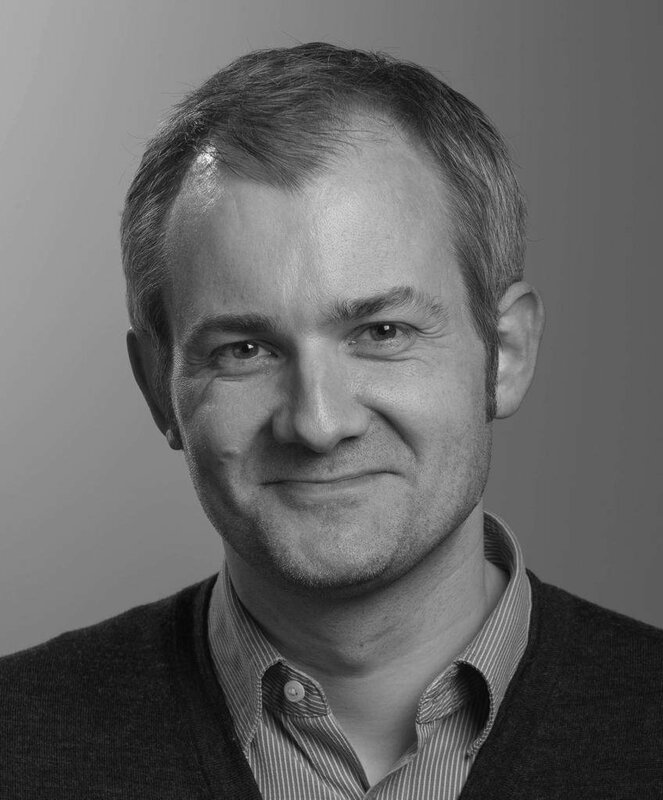 And there are four types of suspension to choose from: the comfort-focused standard set-up, firmer sports suspension, variable dampers that should in theory give the best of both worlds, and variable dampers with electronically-controlled anti-roll bars that keep the car flatter through bends. 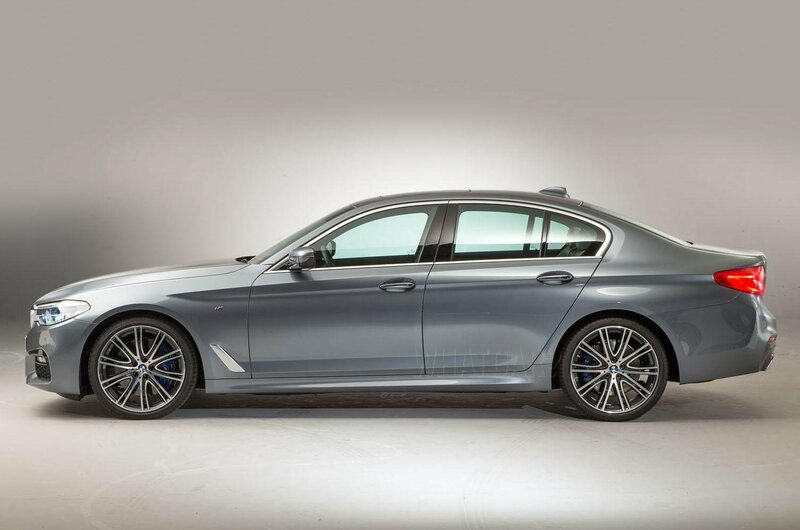 Whichever options you choose, they’re wrapped up in a body that closely resembles that of the bigger and pricier BMW 7 Series which went on sale in 2015, although the 5 Series features sharper creases down its sides, giving it a slightly more athletic appearance. What's the 2017 BMW 5 Series like inside? 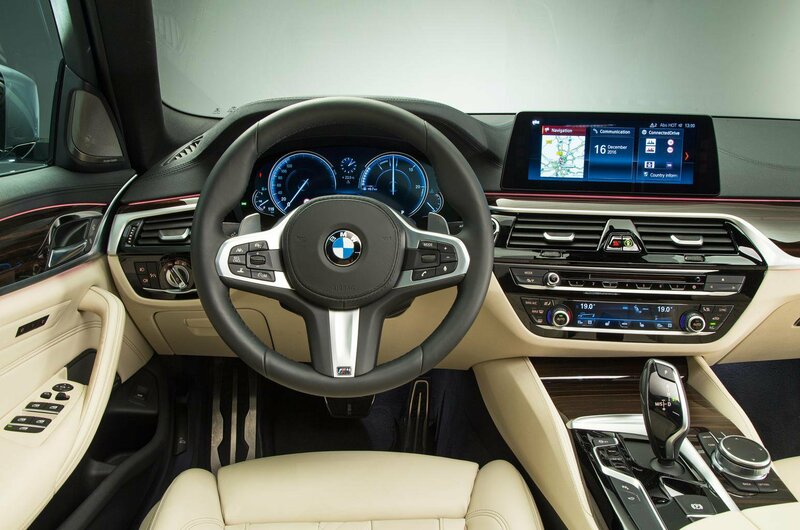 Climb behind the wheel, and it’s a similar story, with the dashboard design sticking closely to that of the 7 Series and feeling every bit as classy, although the centre console of the 5 Series is angled more sharply towards the driver to emphasise that it’s a more driver-focused car. As a bonus, this brings the infotainment touchscreen within easier reach. Or, if you prefer, you can scroll through its menus using BMW’s iDrive rotary controller. To these standard features, it’s possible to add a voice control system that recognises natural speech rather than relying on you saying specific command words, and Gesture Control, which lets you adjust the stereo volume by rotating your index finger in thin air, and decline an incoming call with a quick swipe of your hand. The on-screen menu pages are now customisable, too; you can create your own home page displaying the functions you use most often. Plus, digital instruments replace the analogue dials of the current 5 Series. Like most modern cars, the new 5 Series is bigger than the model it replaces, so there’s plenty of room for four inside. And while the boot is rather oddly shaped, you should still be able to fit a couple of large suitcases easily enough. What technology will be available on the 2017 BMW 5 Series? 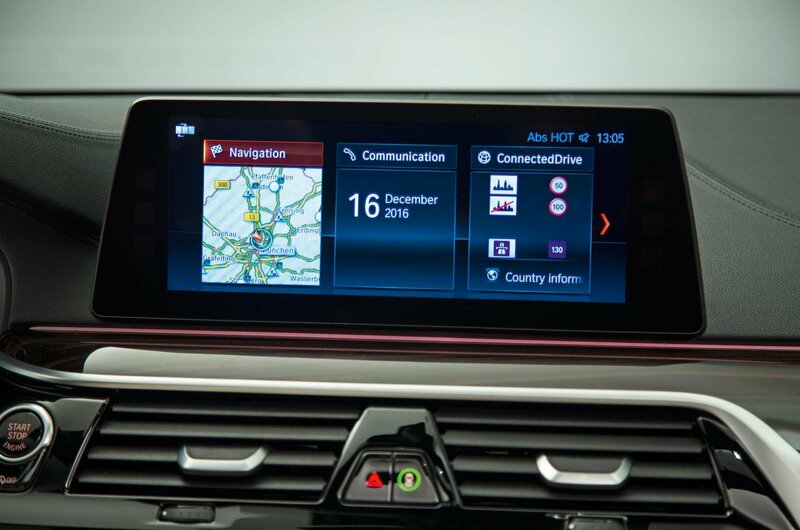 The 5 Series will be able to communicate with other new BMWs, letting them know what electrical systems are activated. This level of connectivity has the potential to improve safety; for example, if you have to switch the fog lights on, your car will be able to warn nearby drivers that there’s bad weather in the area. In addition, the 5 Series will go head-to-head with its arch-rival, the Mercedes E-Class, in offering autonomous driving technology. The new 5 Series can brake, steer and even change lanes by itself, and while rivals with this technology insist that you keep your hands on the wheel, BMW will let you remove them for up to 30 seconds. Just don’t think this means you can take your eyes off the road; BMW insists that the driver is still ultimately responsible for ensuring the car doesn’t crash. This feels like a bit of a mixed message, but what’s clear is that if you’re about to get a new executive saloon, it’s worth waiting a few months. If it lives up to its promise, the only mystery that will need solving is why anyone would feel the need to upgrade to a 7 Series.